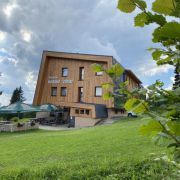 Mountain guesthouse on the ski slope in the Giant Mountains in Pec pod Snezkou. 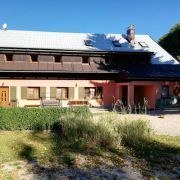 We offer accommodation in double … More » to six-bedded rooms both with ensuite bathrooms, as well as with shared shared bathroom and toilet on the floor. 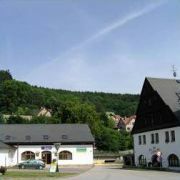 There is also restaurant, children's corner, trampoline, playground, WiFi. 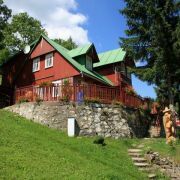 Mountain guesthouse Komex offers accommodation to all fans of winter and summer sports but also to those who seek … More » a calm retreat for their vacation. 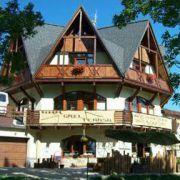 The guesthouse is located in a calm place in the upper part of the mountain town of Rokytnice nad Jizerou, 200m from the centre of the Upper Square. 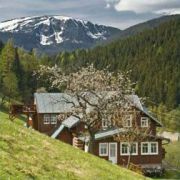 We offer cheap accommodation in the Giant Mountains. 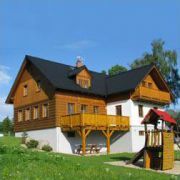 Guesthouse is situated only 300m from the ski resorts Herlikovice … More » and Bubakov. Total capacity is 26 beds. 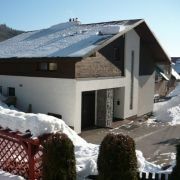 Rooms with 2,3,4,5 beds, fully equipped kitchen, TV, WIFI, ski/bike room, mini gameroom, parking for free. Ideal place for your vacation. 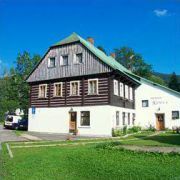 Family hotel in the centre of Horní Mísečky. 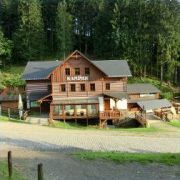 It is ideal place for families with children or parent center. 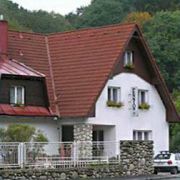 For … More » our guests we provide czech cuisine, bar, gym, swim-spa with whirlpool, sauna, children's playroom. 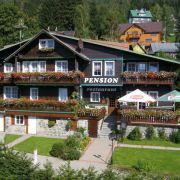 Lifts are situated 200 meters from the house. 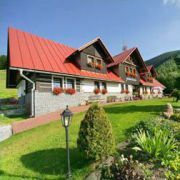 High quality family guest-house. 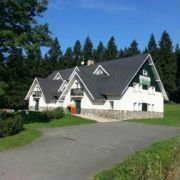 All rooms have bathrooms, TV SAT, WiFi club restaurant for guests. 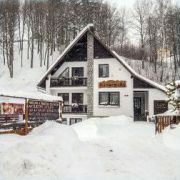 Skibus 100m … More » , sauna, ping pong, possibilities of dinning – half board, parking or garage free of charge. 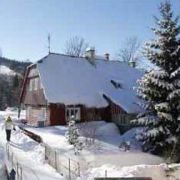 Giant Mountains - Strazne – 4km from town Vrchlabi. 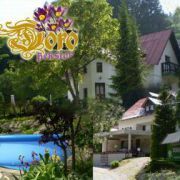 Recreation cottage is open all year around and is situate in … More » the centre of ski resort with beautiful views at the surrounding (Cerna Hora). Separated apartments in the first level have own enter. 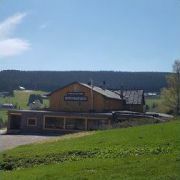 Distance to the ski lifts is 150m. 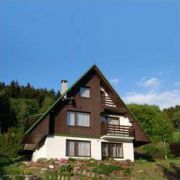 Fully equipped appartments with 4 beds directly by the chair lift. Each appartment consists of kitchenette, WC … More » . 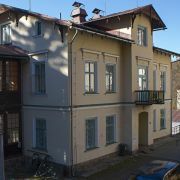 There is a clubroom with a TV set + Internet with capacity of 20 persons - ideal for trainings. Sauna, Swedish bathing barrel, Restaurant, parking place. Tranfer with our minibus. The capacity 26 beds, rooms with 2 – 6 beds have own bathroom. Pets are allowed. Garden furniture + barbecue, parking … More » for whole year. 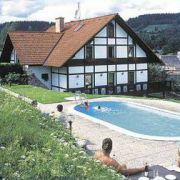 Rent of bikes, skies, reservations of bowling, tennis, squash, swimming pool, horseback riding, fitness).